Every year, without fail, the media in Australia use Australia Day as an excuse to push their anti-flag agenda, or their pro-republic agenda, or both. 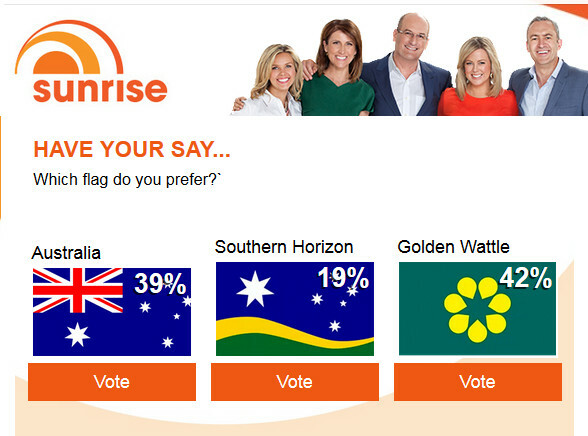 This year, the Multiculturalists over at Channel 7’s “Sunrise” programme are touting replacements for the Australian flag. They have put up a poll for people to vote for the current Australian flag or two alternatives (neither of which are particularly inspiring). As it is an internet poll, it should be taken on that basis, i.e. it is not a scientifically accurate measurement of the Australian population’s opinion on the issue. Of course, the Sunrise TV show wasn’t the only media outlet participating in the subtle and not-so-subtle attacks upon the Australian flag. Articles and commentary against the flag appeared in various media publications. Both the Multiculturalist and the Republican camps include many people with an ongoing hatred for Australia’s British heritage — which is why they want to change the Australian flag, to get rid of the British “Union Jack” which sits in the top left corner. 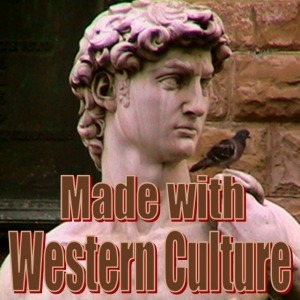 For many Multiculturalists, the anti-British push is a part of their anti-White agenda. They want to cut off Australia’s ties from Britain, to loosen the Australian people’s widespread sentimental attachment to their “mother country” in Europe, and then push on with the Multiculturalists’ agenda to attach Australia economically and demographically to Asia. The extremist Multiculturalists see Great Britain as the epitome of “whiteness”, as it colonised many non-European countries; therefore, they hate the idea of Australia having any ties to the United Kingdom; they hate the very notion that the Australian nation should in any way be connected to its European roots. From a pro-White point of view, Australia should be building up more ties with other ethnically-European countries, not breaking them down. Those in Australia who are racial loyalists should try to ensure that their country maintains its ties to Britain. Whilst the racial loyalist community in Australia includes both monarchists and republicans, they need to overcome their differences. The pro-White republicans need to realise that the traitor elite’s push for a new Australian flag and a republic are both part of the Multiculturalists’ anti-White agenda; whilst they may want the full political and cultural independence for Australia that is associated with an independent republic, they should not be naively unaware of the fact that, at the present time, any push for a new flag, and any cutting of the nation’s historical ties with Britain, will mainly help the agenda of the Multiculturalists and those who want an Asian Australia. On the other hand, the pro-White monarchists need to realise that Queen Elizabeth II and her son, Prince Charles, are both committed Multiculturalists who have never done anything to help White Britain, let alone help the pro-White cause in any Commonwealth country; they are just another couple of traitors who are part of the anti-White traitor “elite” — pro-White Australians owe loyalty to the British commensurate with the crimson ties that bind them, but they owe no loyalty whatsoever to the traitor monarch who is the current British head of state; nor do they owe any loyalty to Prince Charles, who is next in line to the throne. However, it is the connections between the two countries which are important; those ties should be maintained as much as possible, in order to keep in place the cultural and psychological connections between those peoples who are connected by the “crimson thread of kinship”. Therefore, whilst there are arguments both for and against Australia having a new flag or a republic, pro-White people in Australia need to unite against the Multiculturalists’ anti-British agenda, as it is just another part of their ongoing campaign against the survival of the West.